This is really whacky but in a cute way! Basically it is a peanut dispenser (for humans not birds!) 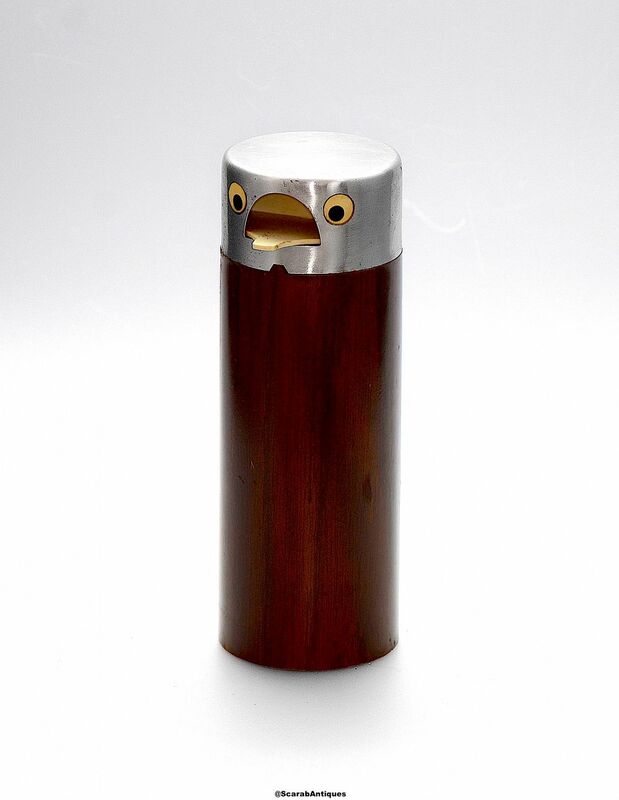 designed as a long faux wood composite cylindrical "bird" (possibly an owl) with an chrome head, a half moon opening and a cream composite moveable beak between round cream & black paper eyes. The base has a twist off composite opener. 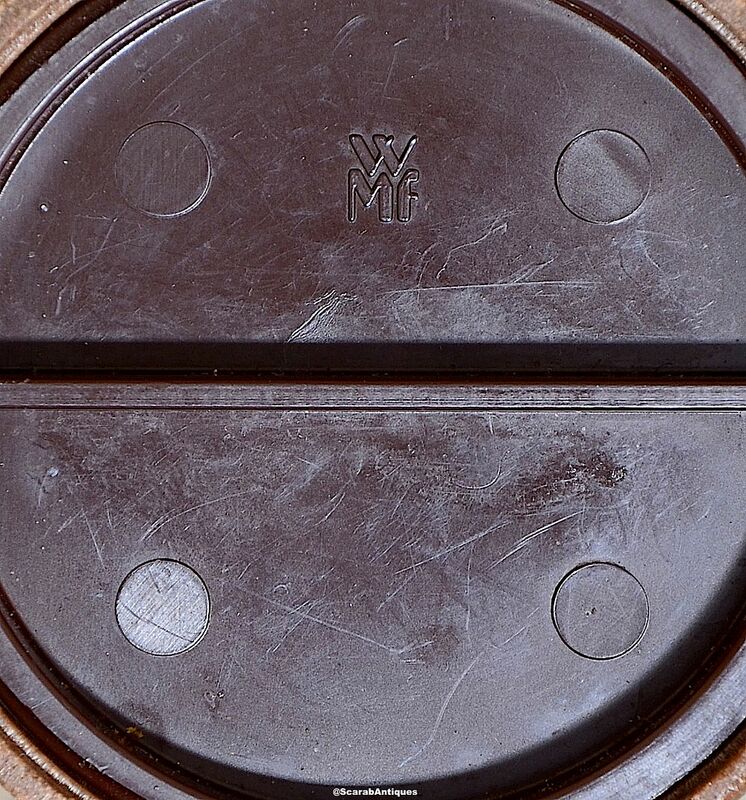 The base is embossed "WMF" and it is c1980s. Once it has been filled, turn it upside down and the beak will open to release the nuts. Simples!